Fujifilm's REAL 3D W1 didn't exactly get the warmest of welcomes, but even today it remains one of the few point-and-shoots that can natively take 3D photographs. 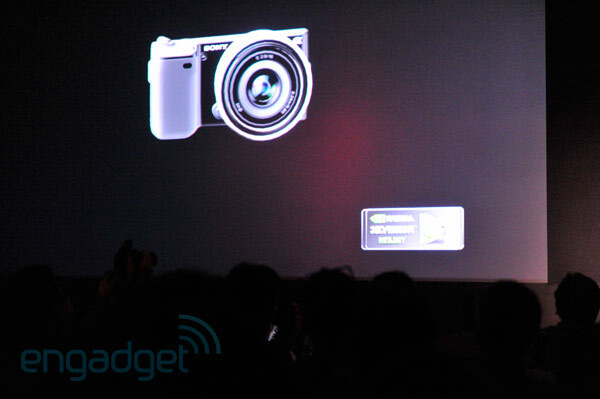 Here at NVIDIA's Computex press conference, the company slid in this little nugget: Sony's new Alpha series of interchangeable lens compact cameras are now compatible with NVIDIA's 3D image processing software (3D Vision Photo Viewer). You won't get your Alpha growing a second lens or anything (at least not yet), but any image you shoot with it can be post-processed as 3D thanks to the new partnership. Details beyond that were few and far between, but the company's obviously stoked to have Sony onboard. 'Course, with Sony's own 3D obsession, we wouldn't be shocked to hear that every single one of the outfit's cameras will soon be on the three-dee bandwagon in some form or another.